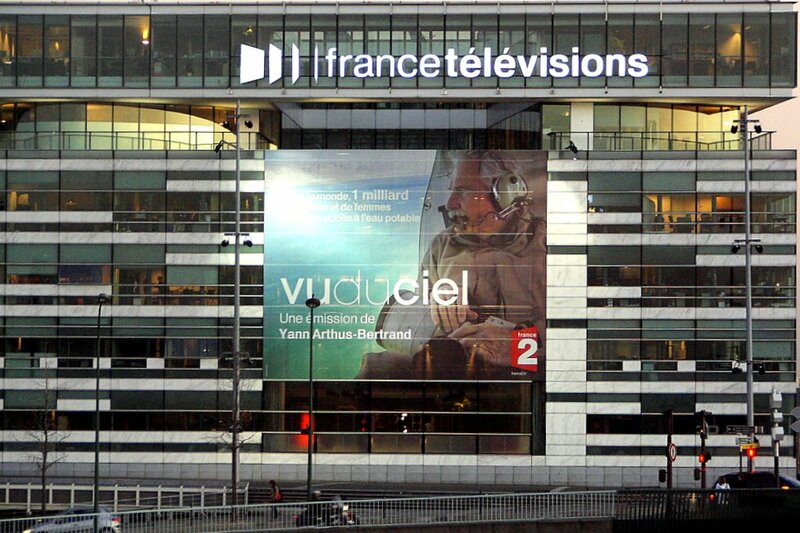 Today I passed by the public television building in the 15th arrondissement (this photo) and I realized I never really dealt with the French TV scene (although you probably remember the launch of France 24). 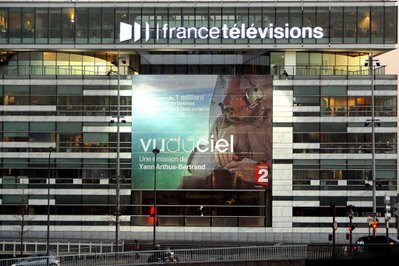 There is a mix of private (TF1, M6, Canal Plus...) and public channels (France 2, 3, 4, 5 and ô) all ruled by pretty strong regulations : not more than one commercials break per hour, no films on Wednesdays, Fridays or Saturdays, etc. What is interesting for you is that more and more programs are now available on VOD on the Internet (most of them for free)... One of my favorite shows is this one, where they show footage from the 60's or 70's. That station would also be my favourite. We have stores that now specialize in old movies. "not more than one commercials break per hour"
Thanks, Eric, that's great info! I realize that private enterprises in France may not feel the same way (because it limits their advertising time) but I think it's fantastic to not be interrupted constantly by silly commercials when you're watching TV like we are here in the US, on the "non-paying" channels. No movies on Wednesdays, though? Why is that? I like this shot, it reminds me of the inner workings of a television. Very appropriate! I'm curious as to why there's no films on Wednesdays also, though I would LOVE to not have more than one advertisement an hour! Sorry for the shameless plug here, but I've been having a lot of fun with my new camera, and if anyone cares a bit about the results and wouldn't mind seeing an adorable 3 year old, pop by my blog! Steph, vous etre vrais, it does look like the guts of a tv, with microchips, circuits, and bits and bytes of energy flashing around. 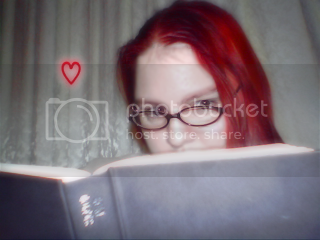 And somewhere in the midst of the apparent elemental chaos, a picture. Nice photo, Eric. > Tomate, Soosha : new movies are ususally released wednesdays in theaters. So by forbidding films this day on the main TV channels, the government intends to help theaters. Why do I get the feeling you are so often looking towards the past ? And there is nothing more you enjoy that the "good old" blablabla. I am 24 only, and it feels depressing to always see or read in France that it was nice in the 60's, the good old traditions, this olf-fashioned this, nice old tradition shop in Paris, that. Please, we are not dying ! Thanks for the VOD hook up. My roommate has taken the tv into her room and that makes me want to watch it. So now I can watch these instead. Fay: that one commercial break is waaay longer that the commercial breaks in the USA. Here we get TVMonde from the cable. My favourite show is 'La carte au tresor'. It's fun and it show lot's of nice places in France. I don't know if this is a popular showm over there, but we like it! oops! sorry for the typos! But private channels are not limited by these rules. And both private and public channels are using a "nice" way to bypass this regulation : programs are "sponsored" by a advertiser : such as "tonigh, yout TV program is offered by XYZ", or "and now, enjoy your evening movie with XYZ peanuts !" That's not advertising, that's sponsoring !! Quite different, huh !? the most weapons the biggest threat to the rest of the world? When one country is the biggest threat to the rest of the world, isn't that likely to be the most hated country? it's an interesting building. I posted today a journalist reporting for TV that I catched some days ago in downtown Madrid.. television is so in our lives uh? I would love to have my TV interrupted only once per hour. It seems that here in the US, one hour of public television consists of 15 minutes of commercials and 45 minutes of show. Don't even get me started about programs being broadcast on the internet for free. I work in that industry, and here in Canada, the Actors are on strike over that very issue. Not so easy to find a solution if you think about it. This is so interesting, and I love the lines, rhythms, colors and reflections in this shot. Not more than one commercial break an hour .... that's it! (Tears up passport) How do I apply for French citizenship? I never did like being a subject anyway. gg: C'est vrai, j'avais completement oublié! Merci. I knew my american visitors would envy this "only one commercial break per hour" rule... And (Thib) it's for public AND private channels. Public channels don't have the right to interrupt films though. Spica, you're right. How could I make such a mistake??? Mayfair. Why do you say that? I did not say it was better, I said they use footage from the 60's and 70's - actually to show that things haven't changed that much with now... Have a look you'll see, it's pretty well made. Toronto team. Why do actors go on strike for that? It's an additionnal opportunity to be exposed and to make more money, isn't? I tried to use the website you mentioned, Eric. It tells me that outside France and DOM-TOM regions internet viewing is not possible. Is there a trick anyone knows to get around this?